Blushing from Bryce Renninger’s generous article about us and the new edition of Film Art can’t keep us from offering another of our occasional entries devoted to new books we like. Get ready for lots of peekaboo links. them, the re-equipment of studios with lighting equipment, cameras, and raw stock was made possible largely through imports from Germany. Once Eisenstein and other directors began making films, they were exported to Germany, where their theatrical success led to further circulation in France, the United Kingdom, the USA, and elsewhere. 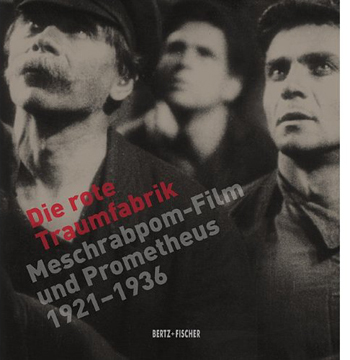 There was a direct link between Soviet and German socialist film production and distribution that is too little-known today. In 1921, Willi Münzenberg forms the Internationalen Arbeiterhilfe (the IAH, known in Russia as Meschrabpom), based in Berlin. In 1924, the organization founded a film studio in Moscow, Rus. A year later, a sister company, Prometheus, was formed in Berlin. Both produced films, and they cooperated in distributing each other’s output. Meschrabpom-Russ produced many of the familair Soviet classics: early on, Polikuschka and Aelita, and later the films of Pudovkin (including Mother and The End of St. Petersburg) and Boris Barnet (including Miss Mend and House on Trubnoya). Prometheus produced films highly influenced by the Soviet exports, both in terms of style and subject matter. These included Leo Mittler and Albrech V. Blum’s Jenseits der Strasse, Phil Jutzi’s Mutter Krausens Fahrt ins Glück, and, mostly famously, Bertolt Brecht and Ernst Ottwald’s Kuhle Wampe oder wem gehört die Welt. Prometheus, not surprisingly, disappeared in 1933. Meschrabpom-Russ continued until 1936. Closer to home, our friends have been very busy. From Leger Grindon, a deeply knowledgeable specialist in American film, comes Knockout: The Boxer and Boxing in American Cinema. The prizefight movie isn’t usually discussed as a distinct genre, but after reading this comprehensive and subtle study, you’ll likely be convinced that it’s been remarkably important. While discussing movies as famous as Raging Bull and as little-known as Iron Man (no, not that one; this one comes from 1931), Leger also introduces you to the finer points of genre criticism. The way he traces basic plot structures, key iconography, and historical patterns of change is a model of how thinking in genre terms can illuminate individual films. 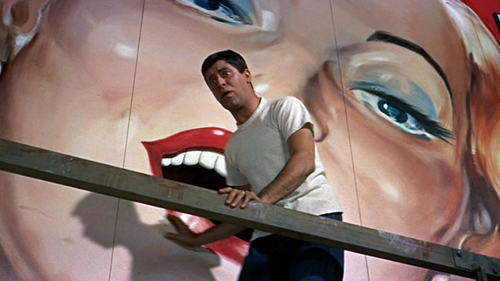 Then there’s Tashlinesque: The Hollywood Comedies of Frank Tashlin. Ethan de Seife goes beyond the usual recounting of peculiar, often lewd gag moments to treat Tashlin as not only a gifted director but a representative figure in 1940s-1950s American cinema. Ethan traces how Tashlin became a program-picture director who never acquired the status of auteur, at least in the eyes of the studio system. The book situates Tashlin in the context of the Hollywood industry, both the cartoon shops (Tashlin did animation work for both Disney and Warners, among others) and the live-action production units. There’s as well a fascinating chapter on Tashlin’s influence on directors as different as Joe Dante and Jean-Luc Godard, who coined the adjective “Tashlinesque.” A blend of critical analysis, cultural commentary, and industry history, Tashlinesque is surely the definitive book on this cheerfully dirty-minded moviemaker. Ethan maintains a lively blog here. Not strictly about cinema, but a book that’s indispensible for film researchers, is James Cortada’s History Hunting: A Guide for Fellow Adventurers. A founding member of the Irvington Way Institute, Jim is at once an IT guru, a historian of computer technology, and a scholar of Spanish history, particularly of the Civil War. History Hunting, the fruit of forty years of spelunking in archives, museums, and the world at large, is an enjoyable handbook on doing historical research. It ranges from help with genealogy (case study: the colorful Cortadas, from Spain to the US) to suggestions about how to frame a doctoral thesis. Jim reminds us that the historian must turn into an archivist: the materials you collect are documents for future historians to use. You are, to use the new buzzword, a curator. Jim provides a welter of practical suggestions along with his own tales of the hunt. Jim devotes part of a chapter to Kristin and me, which just goes to show his impeccable taste in neighbors. Joseph McBride is known as a film historian—his biographical books on Ford, Welles, and Spielberg are scrupulous and insightful—but he also teaches screenwriting. Why not? He wrote the cult classic Rock and Roll High School. 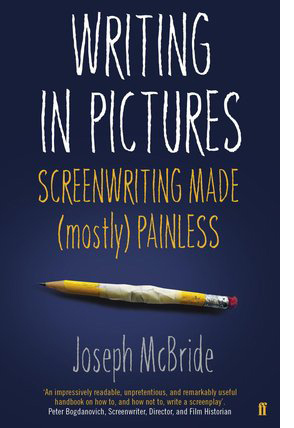 Writing in Pictures: Screenwriting Made (Mostly) Painless is a unique manual in that it minimizes how-to instructions. Joe acknowledges the centrality of the three-act structure, but he takes a step back and asks what engages us about stories to begin with. His advice is clear-sighted. Don’t follow trends; don’t worry about “high-concept” ideas or “character arcs” or “plot points.” Closely study the masters of storytelling in fiction and drama and film, and absorb not formulas but a feeling for the flexibility of narrative technique. One of the most original aspects of Writing in Pictures is Joe’s emphasis on adaptation. This is sensible because (a) a great many films are adapted from other sources (today, even comic books); (b) a professional screenwriter is often called upon to reshape an earlier script draft by another writer; and (c) adapting a preexisting source swiftly gets the novice screenwriter thinking about the relative strengths of verbal and visual storytelling. Joe takes us through the script-building process step by step, each time reworking London’s story “To Build a Fire.” Somewhat like the European “conservatory” approach to film education, McBride’s emphasis on organic interaction with classic traditions is something new, even radical, in the world of American screenplay education. Then there’s Film and Risk, edited by the boundlessly prolific and enthusiastic Mette Hjort. Probably the most conceptually bold cinema book of the year, it assembles several scholars and filmmakers to assess how films and filmmakers deal with risk. The subject is of course broad. There’s risk in performance; risk in breaking stylistic boundaries; risk within film institutions (such as producing); risk in social and political contexts such as facing censorship; environmental risks, as in the costs that filmmaking exacts from the natural world; and even the risks of viewing movies—exposing yourself to horrifying or depressing stories and images. Film scholars like Hjort, Paisley Livingston, and Jinhee Choi mingle with film producers and industry observers to reflect on how cinema takes chances. Our colleague J. J. Murphy has been researching and teaching the films of Andy Warhol for years, and today–literally, today–his monograph The Black Hole of the Camera: The Films of Andy Warhol comes out from the University of California Press. 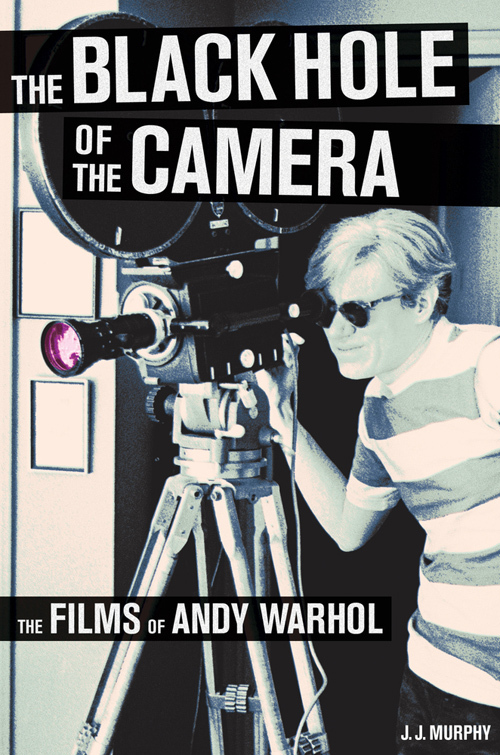 This is the most comprehensive, in-depth study of Warhol’s filmmaking that has ever been published, and of course a must-have for anyone interested in experimental film or the American art scene. The ideas are fresh, especially the explorations of Warhol’s debt to psychodrama. At the same time, The Black Hole of the Camera clears away many misconceptions about Warhol (no, Sleep and Empire are not single-shot films) while also offering detailed information about and analysis of little-known stunners like Outer and Inner Space. 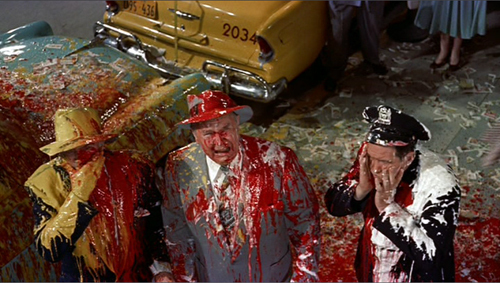 There are several pages of color frames, which remind you that Warhol was as good at color as Tashlin was. JJ maintains a remarkable blog on independent cinema and is a leading figure in the Screenwriting Research Network. With three top talents, you’d expect the collaborative paper to be a triumph of synthesis, and so it is. It supplies the best case I know for why we cinephiles should welcome psychologists who test the ways we watch movies. It should be required reading in every film theory course in the land. Access to the published paper requires a purchase or a library subscription, but you can read the preprint version here. Check in at Tim’s blog Continuity Boy for plenty of videos exploring his research (DB). Finally, we’re sometimes asked why we don’t allow comments on our blog. The simple answer is that we’re not nearly as good at responding to comments as John Cleese is. The cover of Joe McBride’s book pictured above is from the Faber & Faber edition, which makes a better still than the US edition from Vintage. Same good stuff inside, though. This entry was posted on Tuesday | April 3, 2012 at 8:03 am	and is filed under Books, Film comments, Film genres, Film history, Film theory, Hollywood: Artistic traditions, National cinemas: Russia and USSR, People we like. Responses are currently closed, but you can trackback from your own site.